Every day, for more than 17 years, people parked their cars in a nondescript parking garage at the Westford condos in Los Angeles. Parked in space 144 was one of the most famous vehicles in American history -- and most people never even knew it. 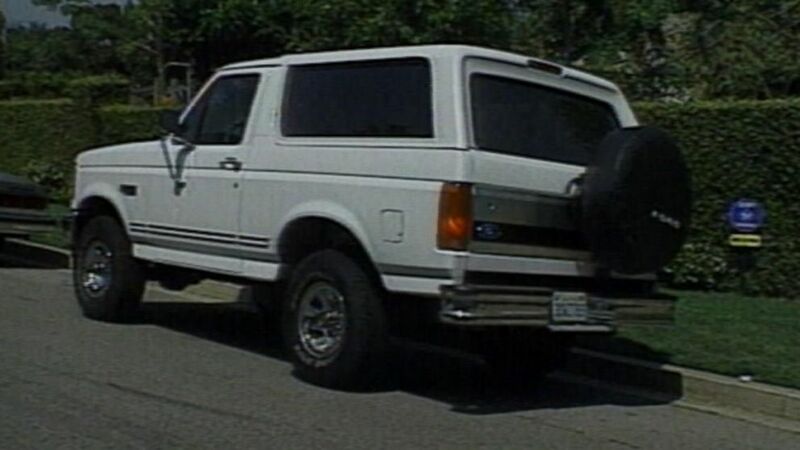 That's because from 1995 to 2012, the 1993 white Ford Bronco owned by Al Cowlings and driven by him, with his friend O.J. Simpson in the back in the low-speed chase that ended in Simpson's surrender, was stored and uncovered for the world to see without moving a single inch. Don't get this confused with this Bronco, which belonged to Simpson. Simpson's Bronco was owned by Hertz, for which Simpson was a spokesman from 1975 until June 17, 1994, the day of the chase. That Bronco was found parked outside Simpson's Rockingham estate with Nicole Brown Simpson and Ronald Goldman's blood on it the night of June 13, 1994. As a result of the car being evidence in a double murder, it was impounded and eventually destroyed after the conclusion of the trial. As far as Cowlings' Bronco, the complete story was revealed this week, for the first time, by one of the three owners of the car, Simpson's former agent Mike Gilbert, and corroborated by another person, who wished to remain anonymous, who was aware of the car's history. Now, there is just Cowlings' car, which was the one on the Los Angeles freeway. After the chase, but before the trial, Cowlings had received an offer from a company called Startifacts out of Minnesota. Its founder, Michael Kronick, had offered Cowlings $75,000 for the car and a deal was struck. "But we found out that the company was going to rent the vehicle to a company in L.A. called Grave Line Tours, that visited famous graves," Gilbert said. "They were going to re-enact the chase with the Bronco and then take people to Nicole's grave. The trial hadn't taken place yet, and we didn't want people thinking anyone associated with O.J. did this." So Cowlings backed out, eventually settling with Kronick, and three people -- Gilbert and two of Cowlings' friends, Michael Pulwer and a man Gilbert would call only "Stan" -- gave Cowlings the same $75,000 and became the owners of the infamous car. It was an investment, but none of the three men ever seemed particularly interested in selling it. They rarely talked about having owned it, which is why only a few people have ever offered money for the car. Gilbert said the top price he has listened to is $275,000. For a car that has an average trade-in value of $1,800, according to Kelley Blue Book, that's quite a bump. But even at that price, the men, Gilbert said, never considered taking the money. "After the limo that JFK was shot in, this is the second-most-viewed car in American history," Gilbert said. That doesn't mean they didn't care about it. The car was parked in Pulwer's condo complex garage, and Gilbert would drive out every other year to check on it. "We changed the batteries on that thing more than we ever put gas in," said Gilbert, who noted that fewer than 20 miles have been put on the odometer since the 1994 chase. In 2012, guided by a tip that the famous Bronco was sitting in the parking garage, a man connected to the Luxor Hotel in Las Vegas discovered the vehicle -- without its license plates (California 3DHY503), covered in black dust with flat tires. He was able to make contact with the owners, who agreed to loan the car, with additional compensation, to the Las Vegas hotel. For a few months, the car was displayed in front of the hotel to promote a 10,000-square-foot sports memorabilia exhibit that housed the 1999 Women's World Cup trophy and Marcus Allen's 1981 Heisman. Also, it had a brief stint at the Brant Foundation Arts Center in Greenwich, Connecticut, but other than that the car has never moved. But the car was eventually taken away because the original deal was to put the car inside the hotel exhibit, which the Luxor couldn't do without taking the car apart. "We didn't like that because we always wanted to make sure the car was in running condition," Gilbert said. So the car was moved again, this time to a Las Vegas parking lot, where it stayed until Gilbert took it back to his home in Hanford, California, last fall and parked it in his garage. Gilbert said the car will soon see the light of day again thanks to a deal the three men have made with Alcatraz East Crime Museum in Pigeon Forge, Tennessee. A loan has been arranged with the museum, though Gilbert said the deal is off if the car is sold. Having been around the memorabilia business for years, Gilbert knows exactly what he is doing. On the day Simpson was acquitted, Gilbert asked Simpson if he would give him his suit. Simpson obliged, and Gilbert's possession is now behind glass at the Newseum in Washington, D.C.
Gilbert said he took the original gas out of the Bronco, which he still has. When it was time to change the tires, he kept the old ones that were on the vehicle that famous day. Gilbert also has all the documentation, including the temporary vehicle registration proving Cowlings took possession of the Bronco in April with 1,140 miles on it. Records checked by ESPN confirm the plates Gilbert has match the plates of the car during the chase and with the vehicle identification number Gilbert provided. Records also confirm the car had 34,244 miles on it in June 1995, when the title transfer happened, and only 10 more miles on it (34,254) in September 2015, when Gilbert took possession of the car. Despite the recent publicity of the O.J. Simpson case, thanks in part to the five-part ESPN 30 for 30 documentary "O.J. : Made In America," Gilbert said he and his partners are in no rush to get rid of the Bronco. Said Gilbert: "If we don't sell it, my stake in it will go to my kids and my grandchildren."